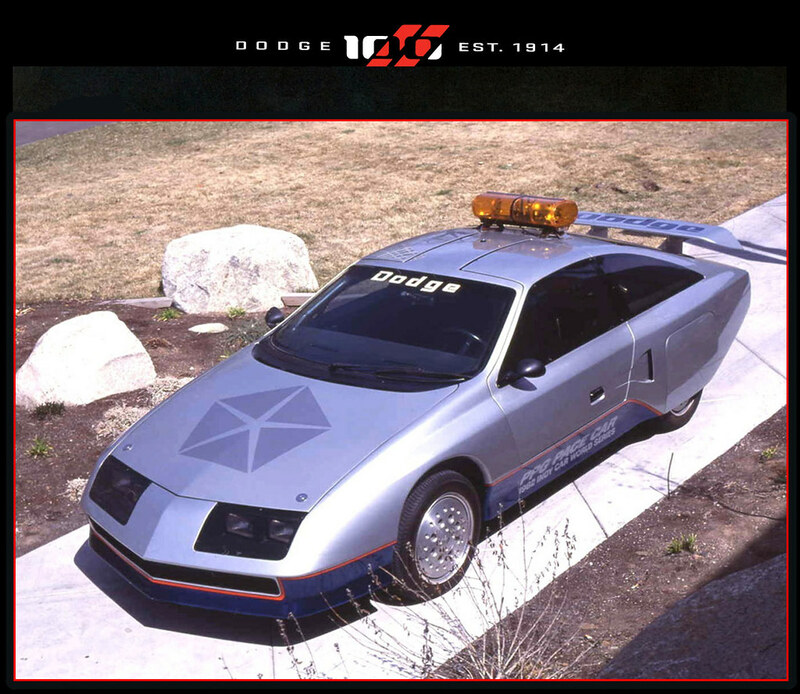 1982 Dodge PPG (Concept). Looks like something from a cheap 80's movie. I guess it's an Indy Pace Car. 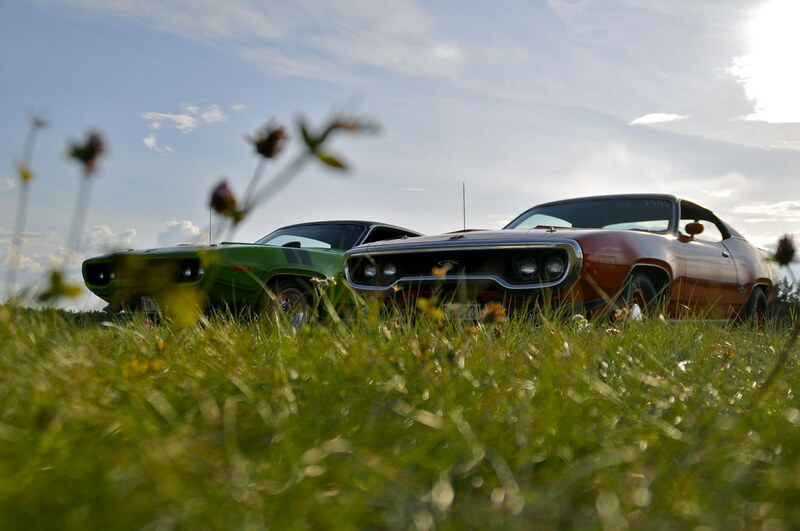 A Pair of 1971 Plymouth GTX's. I'm going to Sneeze!! Darn Allergies. 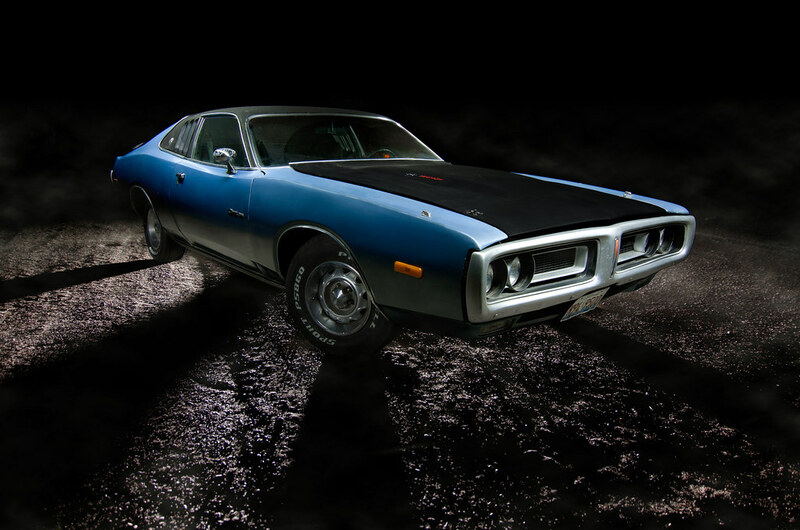 1972 Dodge Charger. The car just died!! Oh snap, an Alien space ship hovering above us. Dodge Charger Off-Road. Now that's what I need for next winter!! 1971 Plymouth Barracuda Convertible. These pictures were taken in 1979. Looks like somewhere in Europe, maybe the UK. This is what the person who posted the pictures says in the description. "It sat on a drive way opposite my nan`s house for as long as I can remember. then parked like this and never moved. Just before my nan moved house the car disappeared and I never saw it again." that looks good w/ color matched police wheels! 1973 Dodge Challenger. Which way to turn? 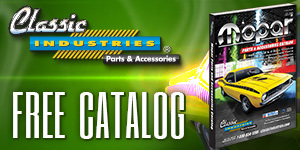 The car is located in Brazil. I expect he'll have a few dings & dents by the end of the week. He should have rubber bumpers so cars will just bounce off. 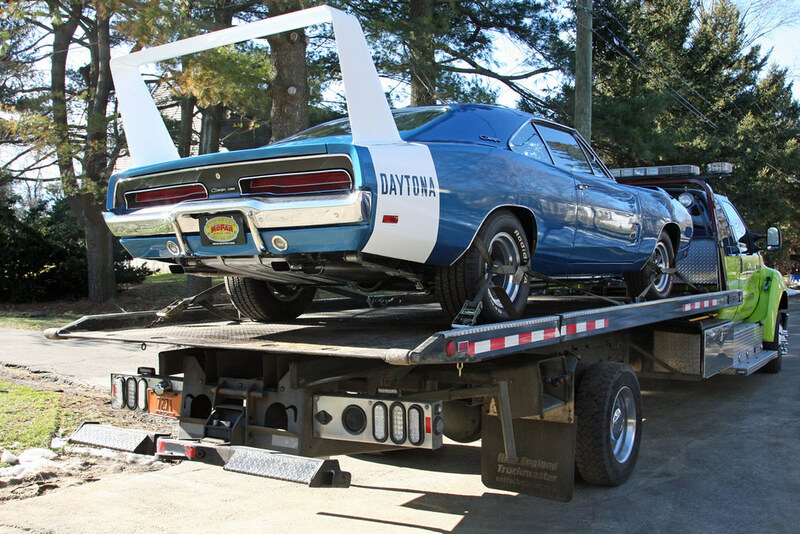 1969 Dodge Charger Daytona. Someone is either very happy or very sad.